How to fight the austerity agenda? Take a page from this campaign. Can Americans beat the austerity agenda of Wall Street Republicans and compromise-prone Democrats? Can we prevent deep cuts to essential services? Can we preserve the commons in the face of a full-frontal assault from politicians and pundits who are ever at the ready to attack the public sector and public employees on behalf of their crony-capitalist patrons? Yes, sometimes in the David versus Goliath struggle, David wins. That happened Wednesday when the board of governors of the US Postal Service abandoned an announced plan to eliminate Saturday delivery of the mail. "Today's announcement that the USPS has cancelled its plans to end Saturday mail delivery is a victory for our middle class families, our rural communities and our small business owners… who rely on this critical service,” declared Congressman Mark Pocan, a Democrat who just two weeks ago rallied in frigid weather outside a Wisconsin post office as part of the national campaign to block the cut. Pocan’s right on every point, except one. The saving of Saturday delivery is not just “a victory for middle class families, our rural communities and our small business owners.” It is an important reminder that it matters to mobilize against the austerity agenda, even when the odds are daunting. The battle against austerity has many fronts, all of which trace back to the question of whether necessary services will be maintained or diminished. That’s certainly the case in the debate about whether to cut Social Security benefits with President Obama’s “chained-CPI” undercutting of cost-of-living increases. The same goes for proposals to means-test Medicare and Medicaid, and of course to implement House Budget Committee chairman Paul Ryan’s voucher scheme. But nowhere has the austerity threat been more evident in recent months than in the attempt by Postal Service managers—and their allies in Congress—to eliminate Saturday delivery. When the Postmaster General announced the move from traditional 6-day service to 5-day service, anyone who knew anything about the USPS knew what was happening. By creating a delivery void that would extend from Friday morning to Monday afternoon, the Postal Service was being rendered so dysfunctional that Americans would turn toward private carriers. 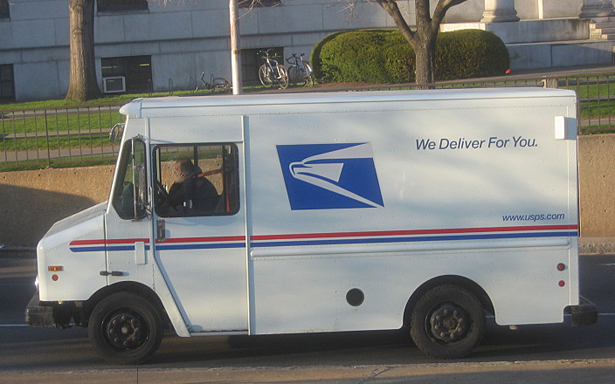 The American Postal Workers Union, the National Association of Letter Carriers and other unions explained that elimination of Saturday service would so undermine the system that privatization of the most attractive mail services would be virtually inevitable. Communities across the country organized to save post offices, sorting centers and jobs. Small business owners, weekly newspaper publishers, election officials and advocates for the elderly and people with disabilities spoke up for affordable and regular delivery of everything from prescription drugs to absentee ballots. This is a big deal. Services will be maintained. Jobs will be saved. Rural communities and urban centers will retain their vital cores. But what happened Wednesday is not the end of the fight. The definitional battle is the one to free the postal service from the onerous burdens placed on it by Congress, especially the congressional mandate that the USPS prefund 75 years of future health-care benefits for retirees. In his new budget, President Obama proposes temporary relief for the Postal Service by reducing payments into the funds by $10.6 billion over the next two years—along with more flexibility so that the service can compete. That’s a place of beginning for a real discussion about stabilizing the service. But the Obama budget is not going to be approved anytime soon. And there are immediate threats. Senator Bernie Sanders, I-Vermont, who has taken the lead in the anti-austerity struggle—not just as the Postal Service’s stalwart champion but as the most ardent critic of scheming to cut Social Security, Medicare and Medicaid—recognizes that the fight is not finished. * clear the way for the Postal Service to help customers take advantage of email and Internet services. * lift legal bans on services such as notarizing documents. * create a commission composed of successful business innovators and representatives from small business and labor to make recommendations on other ways the Postal Service could generate new revenue and thrive in the 21st century. The Postal Service, like most public services, can survive and thrive in the 21st century. But that will never happen if the austerity agenda is extended. It will only happen if that agenda is challenged—with not just one “Day of Action” but with days and days and days of activism on behalf of the sound economics and social responsibility that is the opposite of austerity. What would a healthier, wealthier and wiser tax policy look like? Read Mattea Kramer's take.